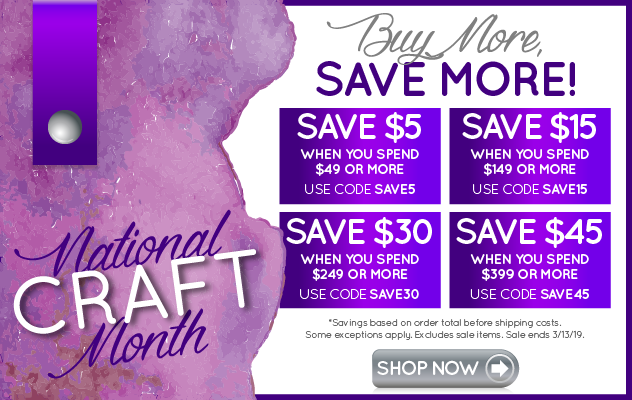 This month Creatively Crafty Blog Group was challenged to work with clay. I decided to try making Cold Porcelain Clay. I was intrigued by the list of household ingredients. The Cold Porcelain Clay was very easy to make, a bit messy - which my daughter enjoyed, and the results were satisfying. Many people make the clay and color it or paint it after their creation has dried. I added food coloring to the Porcelain Clay before creating anything to see how that would work. The colors we used were red, blue, teal, and we left some white. I actually halved the above recipe due to the limited amount of cornstarch we had. Mix all ingredients together in a bowl. The mixture will be sticky and stretchy. 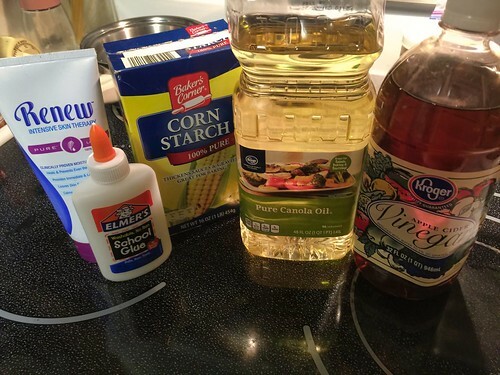 You will need to add more cornstarch until you reach the desired texture. At this point, I divided the mixture into smaller bowls and added food coloring to the bowls. This is optional. Using disposable rubber gloves made the mixing of the color into the clay easier. Mixing the colors together to get a marble effect, I made beads, buttons, a candy cane... My daughter and I used cookie cutters, a glass, and a straw to cut out the clay. 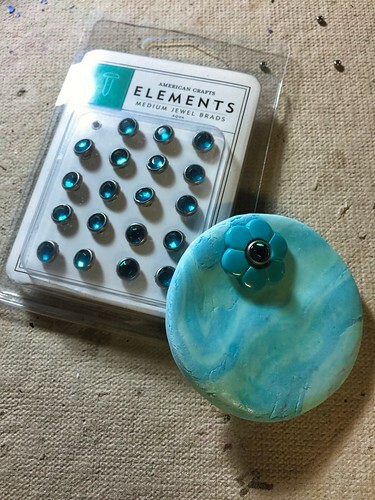 While I have a lot of clay working tools, for this project I stuck to basic household items. 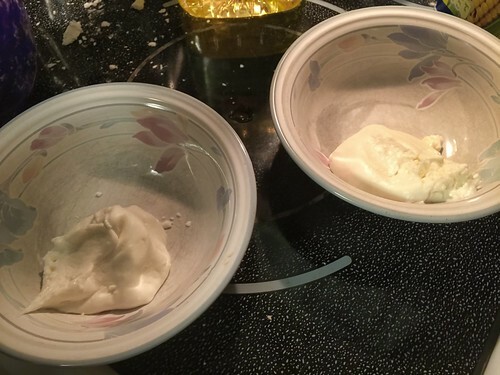 In addition, I found a can of cooking oil worked well for a rolling pin, toothpicks to make holes, a kitchen knife to cut even amounts of clay, and a baking sheet with foil to place everything on even though the clay will not be baked. After the clay dries, it can be coated or painted and then coated with a clear coat. 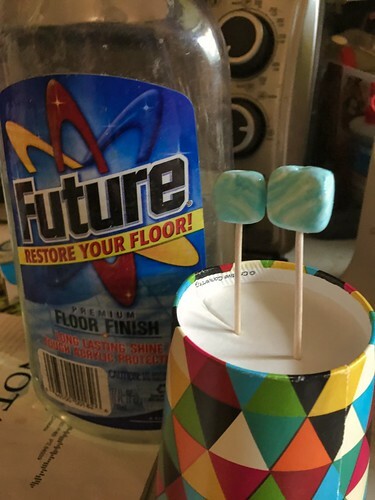 Something like clear nail polish or floor polish will work. 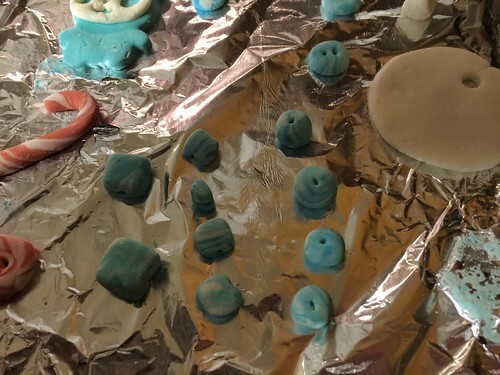 While we made a lot of different things with the clay, I finished two projects for this post. The first one above was a circle, originally thinking it would be an ornament. I used a flower button and a brad to decorate it. 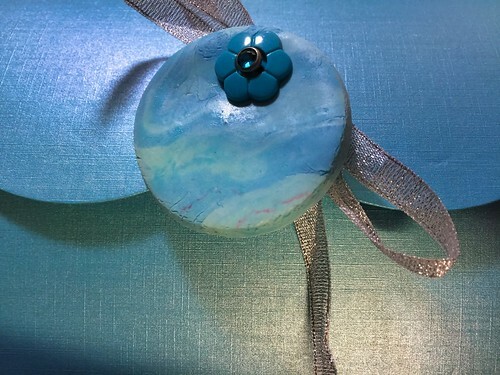 I used it as a decorative element on a gift. 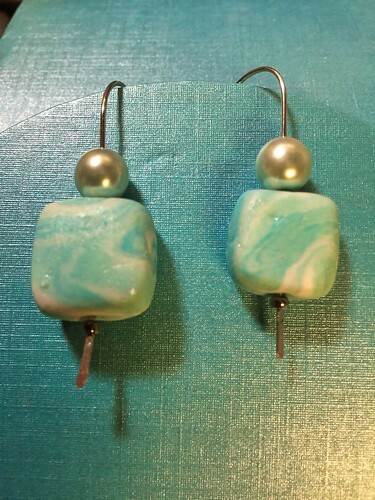 I used basic elements to make a pair of earrings. 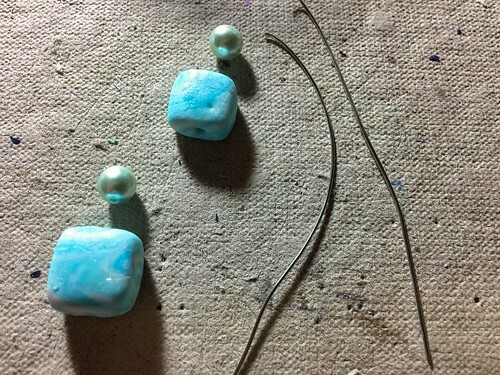 The clay beads, 2 pearl beads, 2 seed beads, and two lengths of wire. I hammered the ends of the wire. I placed a seed bead onto each wire, then the clay bead, and finally a pearl bead. Bend the wire into a large loop and trim to length and they are finished. Next time I would like to try the microwave version of this clay. I would like to try more intense colors. I need to spend more time working with the clay because I did get frustrated at times that it wasn't doing what I wanted. Rolling it out (although a bit sticky) and using a cookie cutter produced the best results. Building it up (my daughter made a snowman) didn't work as well and the clay actually settled in a melting fashion. The clay sanded well after it was dry. I sanded the edge of the round disk.